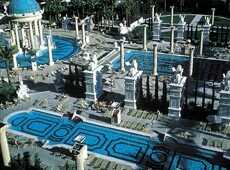 The 20th annual Governor’s Conference on Tourism ran its brief course at Caesars Palace in Las Vegas, easily the best of them all, if only for the wonderful Caesars Palace food. Twenty years ago I was one of the half-dozen Tourism staffers scurrying around the Riviera Hotel in Las Vegas seeing to the needs of 317 people at that first conference, a large proportion of them government employees. This year there were about 800 on hand, down somewhat from the pre-9/11 high of about 1000. Governor Guinn delivered a speech, Lt. Governor Hunt announced a new Nevada office opening in Beijing in 2004, and there were presentations by the Usual Suspects. But it wasn’t the Tourismic oratory that made this Conference exceptional, it was Deepak Chopra. That’s what was so great about it. , far more interesting than we had any right to expect, and light-years beyond the bottom line. One striking omission from the proceedings was any mention of Shar Peterson and the people of Battle Mountain who have performed a miracle of grace under pressure to transform the stunning “Armpit of America” insult into a positive achievement. The Old Spice Festival in the Pit drew national attention, and Battle Mountain is way up on people’s ‘must-see’ lists not just because of the notoriety, but because of the cool way the folks there have dealt with all the hubbub. 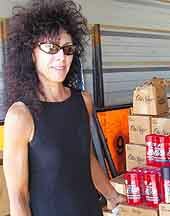 Claudine Williams‘ tribute was well deserved, but I think Shar Peterson should have got a medal — she was Nevada’s Travel Hero of 2003. 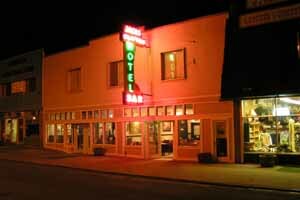 Forget Reno and Las Vegas, the best New Year’s Eve in Nevada will be at Bev’s Miner’s Club on Main Street in Gerlach. The Burning Man clean-up crew will be in town, and John Bogard’s band generally plays, with jug, harp, banjo, guitar, and drums. Or put on your semi-formals and head for the traditional Night Club-style New Year’s Eve of dining and dancing at the Cal-Neva Resort on Lake Tahoe‘s north shore. Dinner is served at 5 and 8 pm at $32.95 per person. Reservations are required and limited. Party tickets (9 pm – 2 AM) are $25 and include party favors and a midnight champagne toast. 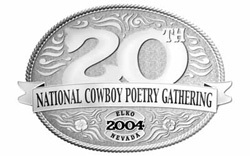 The Elko Cowboy Poetry Gathering is upcoming, January 24-31, and the little city is nearly booked full, with Wells and Carlin hotels enjoying the action too. 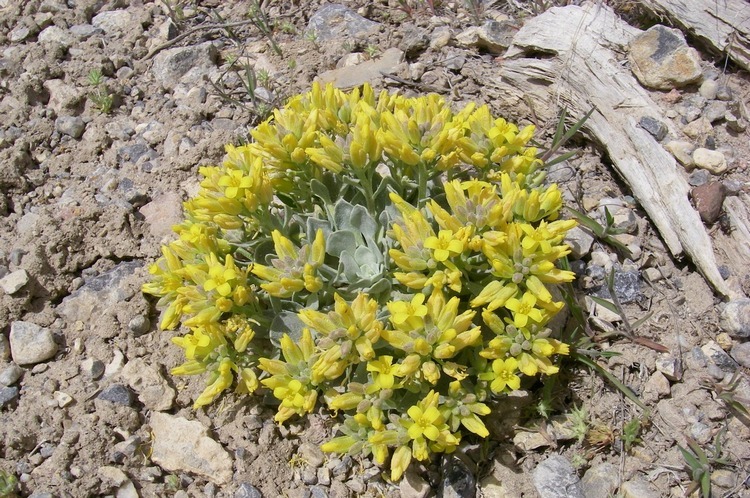 Actually, Elko is enjoyable to visit any time, you don’t need a special event. Walk across the parking lot to another landmark of the Elko renaissance on the other side of the street. Jack’s Bar in the Clifton Hotel was a longtime barroom and boarding hotel, a little box filled with cigaret smoke, stale beer fumes and decrepitude. When Jacques Errecart received the property from his father, he decided it was time for a change, and has transformed it to an upscale barroom with rich wood paneling and vintage wines — not a fern bar, exactly, but utterly different from the funky old place — with an adjoining art gallery.